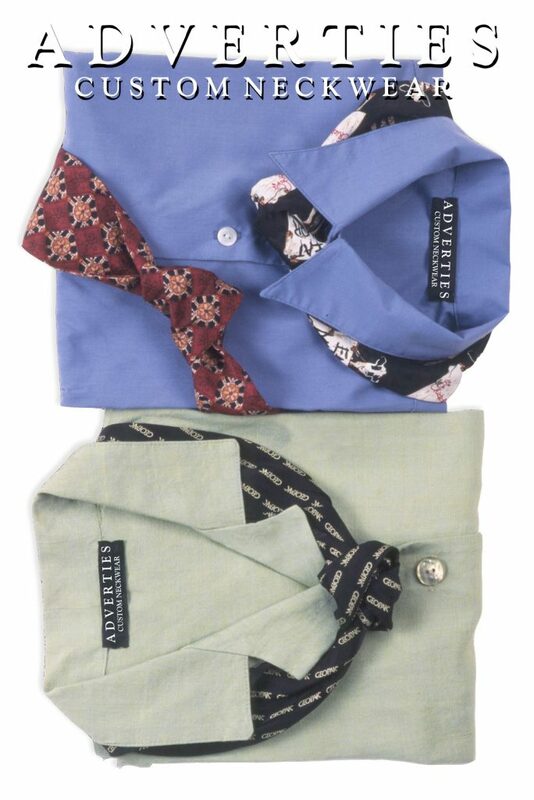 Adverties Neckwear offers an alternative to the traditional uniform necktie or custom scarf, in an item called a knot scarf. This unique item is a beautiful addition to your corporate apparel in that it is made for ease and comfort with your personalized branding. Knot scarves are made to coordinate a women’s uniform with the same durable fabric as our custom neckties for men. They are pre-tied with an adjustable velcro strap to fit around any collared shirt. Uniform fabrics are subject to a great deal of wear and tear. Our silk and polyester fabrics are made for spot or dry cleaning and produced with a wet dyed process that does not bleed. Customizing a look with a company’s brand imprinted on knot scarf and necktie fabric gives a uniform that special centerpiece for conversation. Knot scarves are perfect for restaurants, schools, trade shows, airlines, hotels and other uniform programs. In combination with a custom necktie order, knot scarves are the ideal item for any size company. They can be ordered at a minimum of 10 pieces with any minimum 50 piece custom necktie order. We use the same fabric and design in manufacturing both items. Separate from a custom necktie order, knot scarves can be ordered at a minimum of 50 pieces. Item 4025, 100% silk dyed knot scarves. Item 4050, 100% polyester printed knot scarves. There are no additional charges for screens or setups. Design ideas and branding concepts can be submitted to our art department for production presentations and review. Contact our in-house graphics department for additional information and artwork rendering ideas.